Choice Payment Solutions, led by Nelson Crowder, is your Trusted Saskatoon payment solution provider serving Saskatchewan. In this business tip, they share Point Of Sale options. What Point of Sale system is right for your business? 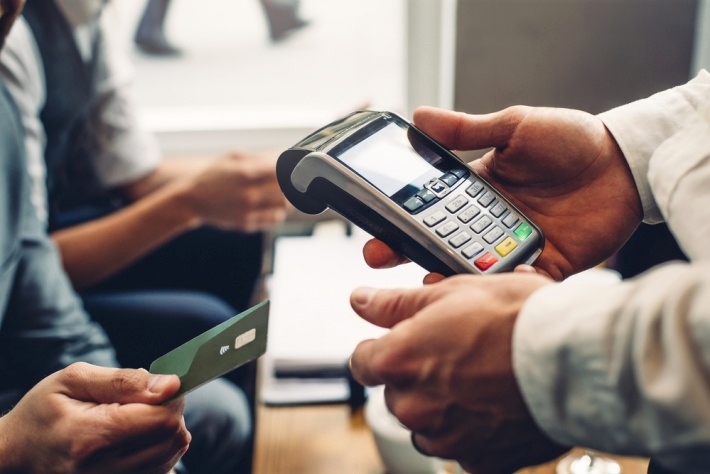 There are a few different points of sale brands that we as consumers typically see in our daily purchases at merchant locations, Verifone or Ingenico are very common. Regardless of which brand they all do the same thing which is process electronic payments (Credit / Debit cards). 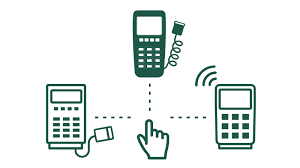 There are various flavours of terminals, There are stand-alone terminals that connect directly to the internet or phone line, Alternatively there are terminals that are Bluetooth or WIFI terminals, Furthermore, there are wireless units that communicate via cellular signal... So, What does this mean?? Working with clients they learn about the business and once they fully understand what their clients do then they recommend the best solution that suits their needs. Terminal solutions are just one of the solutions they offer! They have e-commerce solutions to help businesses and we also have a new product called "CLOVER FLEX" This is a unique system that is not your typical terminal. To Learn more, click the link below and watch the videos or better yet connect with Nelson to arrange a demo!! Choice Payment Solutions are your Trusted Saskatoon Payment Solution Providers! If you already accept credit cards, take advantage of a complimentary statement analysis to find out how Choice Payment Solutions compares to your current provider. The Trusted Saskatoon Directory Team are ecstatic to welcome Treeternity Memoria Forest to our directory of excellence and brag about what makes their services truly unique. Treeternity is your Trusted Saskatoon memorial forest. "Let A Tree Tell Your Story"
When you lose a loved one or have a big occasion in your life you often think of ways to remember or celebrate these moments. What the Trusted Saskatoon Team loves about Treeternity, is that they have a created a beautiful space specifically for this purpose. When asked how the concept of Treeternity was founded this is what Mia had to say. 1. You will have a choice of 4 tree types from which you will choose one. Oak, Maple, Linden or an ornamental flowering crab apple tree. 2. When you purchase a memorial you will choose where you would like to plant your tree from the available 12’x12’ spaces. 3. You will receive a standard 9"x5" FusionCast TM Plaque which will be placed flat in the ground in front of the tree. You will choose your own personal message to be inscribed on the plaque. 4. Planting starts as soon as possible in the spring once the ground is no longer frozen and will plant throughout the season as the weather allows. On your planting day, you and your loved ones will receive your tree and we will show you to the space you have previously chosen. The plaque will be in place and the area will be ready for you to plant your tree. You are left to do your planting and enjoy the day. There is a beautiful gazebo on location for you to enjoy. Treeternity is truly a special place. Whether it is finding a way to remember a loved one or pet after they have passed and the funeral is over or celebrating an anniversary, birthday or another milestone Treeternity is a perfect place. These trees are truly a unique way to cope with difficult times in your life and provide closure for your family. They also are a way to celebrate milestones in your life and watch the tree grow for years to come. Wiebe Windows & More owner Bradley Wiebe has been installing windows and doors in Saskatoon and area for over 10 years. They only install Canadian manufactured windows and doors. These products are built for the Saskatchewan climate. Wiebe Windows & More are Trusted Saskatoon Windows & Door, Experts share a window tip on prevention condensation. Are your windows weeping? Are you struggling with condensation? Have you noticed that the windows in your home are continually fogging up? Does it seem like they are collecting moisture? This isn’t necessarily your windows’ fault. In fact, window condensation may be an indicator of something entirely different. Your foggy windows may be an indicator that you need to reduce indoor humidity before it causes hidden, costly problems elsewhere in your home like peeling paint, rotting wood, buckling floors, insulation deterioration, mildew, even moisture spots on ceilings and walls. No. Windows do not cause condensation. But, windows are often the first place where condensation can be seen. Think about it. You’re probably not surprised or concerned when your bathroom mirror becomes fogged. You expect it after a hot shower. Your car windows fog up in humid weather or in winter when you have several passengers. These are just a few examples. And although condensation usually occurs in cold weather, it can occur during humid months when air conditioning is running. The mirror doesn’t cause the condensation. The car windows don’t cause it either. These are just the first places you actually see condensation. Check your bathroom walls after a shower – you’ll see condensation there, too. Run your finger along the wall. You’ll see water on your finger, and you’ll see the trail of your finger through the condensation on the wall.The same is true for the windows in your home. Condensation forms when warm, humid air contacts a cold surface. Moisture is in the air all around us. Warmer air can hold more moisture. As air cools, it contracts (just as people pull their arms and clothing tight around them when chilled) and its moisture condense. When the temperature drops, the first place you will see any condensation is on the windows. Your windows are the coldest surfaces indoors. During colder months, indoor air is much warmer and holds more moisture than outdoor air, which is colder and dry. Warm, humid indoor air cools and contracts as it contacts the cooler windows, and the moisture condenses on the glass. 1. Leave blinds and/or drapes open as wide as possible at night and open all window coverings during the day. This will increase the warm air circulation over the cool surface and increase the temperature of the glass. 2. Check the furnace filter and replace if dirty. A dirty furnace filter will reduce the output of the furnace fan. A clean filter will ensure maximum flow. 3. Turn your humidifier off during the winter and anytime the temperature falls below 0 degrees C.
4. Always turn on the bathroom fan when bathing or showering. The best results are achieved when the fan is ducted directly to the outside. Humidistat controlled fans which automatically turn on when the humidity exceeds the setting on the switch is also available. Running the fan will also reduce the fogging of bathroom mirrors. 5. Always turn on the range fan when cooking. For best results, make certain the fan is ducted directly to the outside. 6. Ensure your clothes drier is properly ducted to the outside, no air leakage is present in the duct, and the duct is free of all blockages. Avoid hanging clothes indoors to dry. 7. Ensure fresh air intake for the furnace is free of all blockages. If your house has no fresh air intake to the furnace, have one installed. 8. Ensure all hot and cold air registers are clear of any obstruction as this could affect maximum air circulation. Avoid the use of air deflectors. Air deflectors directed towards a window can result in thermal cracks in the glass. 9. Install ceiling fans in locations where heat registers are not located close to the windows. The increase in air flow will definitely help reduce condensation on these windows. Ceiling fans should be run continuously in houses where the relative humidity is above recommended levels. 10. Floors wet from mopping can add large amounts of moisture. Run exhaust fans while floors are wet and avoid washing floors on cold days. 11. Wipe up any excess snow or moisture tracked into the house. The evaporation of the moisture will result in an increase in the relative humidity level. 12. Run your furnace fan continuously. Most furnaces are equipped with a switch which allows the furnace fan to operate even when the furnace is not producing heat. If your furnace is not equipped with this type of switch, have one installed. 13. Open doors and windows periodically to allow the dry air outside to replace the moist air inside. 14. Ensure there are no leaks in the water pipes or drains. 15. Ensure window and door frames are caulked where they meet the exterior finish of the house. This reduces the possibility of cold air infiltration which may lower the inside temperature of the window or door. 16. Remove interior screens in the winter to allow for better ventilation over the window surface. Screens will hamper the flow of air over the interior surface. 17. Patios, decks, and landings: Do not stack patio furniture or other articles near or against windows that directly cause shading or “cold spots” on your windows and doors. This reduces the effectiveness and performance of the glass. This can also lead to glass cracking. Check out their work in their online gallery! "A VIEW YOU CAN TRUST"
Wiebe Windows & More are Trusted Saskatoon Windows & Door Experts! Passions Beauty Studio & The Barber Corner is a national and local award-winning Trusted Saskatoon Salon & Spa opened by Chelsey Kara in 2009. Passions Beauty Studio & Barber Shop offers Saskatoon, Warman, and area clients a truly unique salon & spa experience because they are a team of professionals that work together to offer their clients the best services! They are the Passions family and they travel across the world annually to take training to stay current with the top trends and techniques! Passions Beauty Studio & The Barber Corner are a Trusted Saskatoon Salon. In our latest tip, we share the Prime Hair Brand Story! Co-founders Karey, Chelsey and Karissa opened their family business of luxury hair care products called PRIME HAIR BRAND in 2018. Chelsey is a Hair Stylist and salon and spa owner (Passions Beauty Studio), employing 15 team members. Karissa is a Stylist at the salon and has worked as an educator for multiple International hair companies training stylists on the latest fashions, techniques and products. The two sisters combined their experience and knowledge, together they recognized an area in the industry that they felt needed to be fulfilled. Karey, a former Scotiabank Manager, retired after 31 years and joined her two daughters in their venture of creating a premium hair care brand. They worked alongside their colleagues in the salon (Passions Beauty Studio), testing and creating a line of "PRIME" luxury products that perform and make life easier for the stylist and their clients. These definitions define the mission and purpose of the new business. PRIME HAIR BRAND creates top quality, premium hair care products which are sold by educated professional stylists in boutique salons. 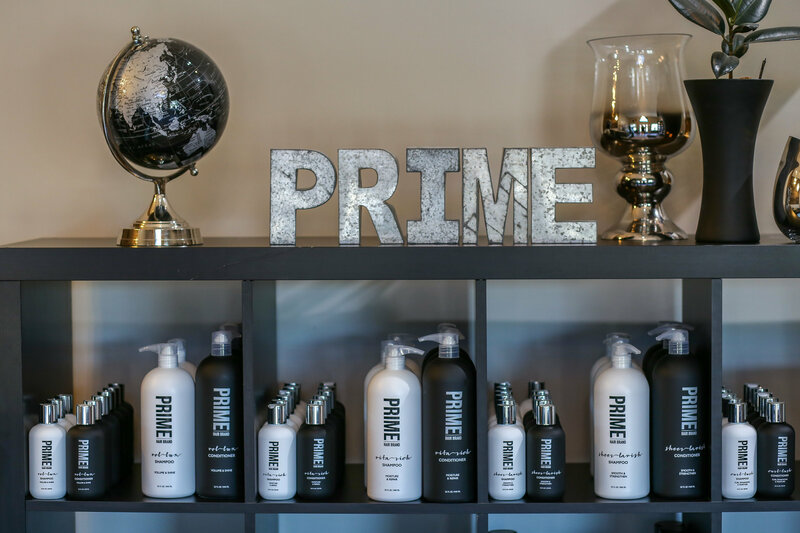 PRIME provides education, salon business tools and first-hand experiences to help the stylists and salons succeed in all aspects of their career and lead them to greatness. The family trio intends to introduce their brand into salons across Canada and around the world by providing support to industry professionals which in turn will be passed on to their clients, creating success for all. Passions Beauty Studio & The Barber Corner has a modern feel and look inside but clients are truly treated like family. JOB Heating & Air Conditioning’s wonderful staff will be more than happy to provide you with an estimate for any home comfort improvement that you have in mind. They also offer training classes at your personal site for maintenance and they also offer home heating tune-ups. JOB are Trusted Saskatoon Furnace experts and they can also help you with all your Saskatoon plumbing needs! In their latest Saskatoon furnace tip, owner Jeff Bolton, shares why you can trust JOB with your Saskatoon heating and furnace issues. Having to call your Saskatoon plumber every time a drain in your home gets clogged can become time-consuming, frustrating, not to mention very expensive. Your drains may work right now, but clogs can happen at any time. Though plumbing codes, normal plumbing maintenance, and good drain pipe materials can keep the rate of clog formation to a minimum, most people do not have the advantage or the ability to decide what plumbing materials are to be used. No one thinks about plumbing maintenance until there is a clogged drain. Clogged drains can create severe water damage to a home’s structure (such as the wiring) and can be a potential health risk. Problems caused by a clogged drain can be avoided by taking necessary steps of drain maintenance to prevent clogs from occurring. Remember, prevention is not only easy to do but can save you a lot of money in the long run! Tip 1: When cleaning up after dinner, run hot water through the drain to prevent grease buildup and hard water deposits. Once every few days, to really prevent buildup in your pipes, first put in a half cup of baking soda, followed by a half cup of vinegar, and then wash it through with boiling hot water. Tip 2: Check your bathtub stoppers every three months for hair and buildup of biofilm (a mixture of bacteria, food particles, soap residue, and body oils that hardens as layers begin to build up and lead to a clogged drain) and see if the stopper needs to be replaced due to wear and tear. Once a week, fill the bathtub halfway to three-fourths full (while the stopper is in the drain) and then pull out the stopper. The weight and volume of the water will fill the pipe and will flush the drain line. Tip 3: Have your home plumbing system regularly inspected for maintenance from the team at JOB Heating and Air. As a preventative measure, at least once a year, hire a plumber to snake your home’s drain lines for any buildups that can lead to a clog. For major connections, such as your septic tank or your main pipe to the sewer system, have periodic inspections. Small roots that penetrate a drain pipe can be cleaned up before it turns into a big problem. 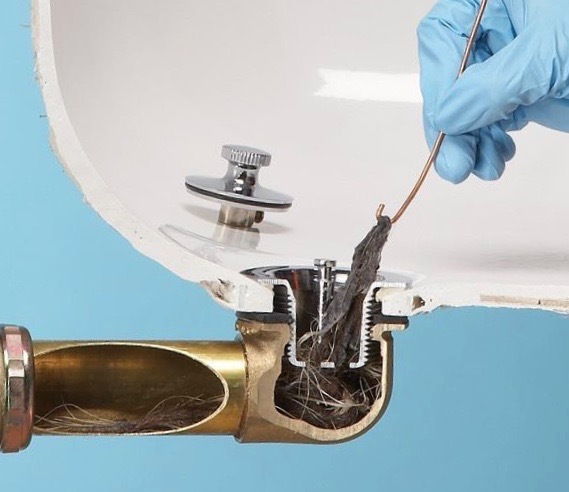 If regular inspections are not performed by a plumber, the roots can become entrenched in the drain pipe and will have to be replaced altogether. Tip 4: Special clog prevention for kitchen sinks include: remove all kitchen waste from the sink; do not pour coffee grinds down the sink; do not pour grease down the sink; and catch all food from falling down the sink. Tip 5: Most plumbers will tell you to avoid using chemical-based cleaners as clog prevention on a regular basis as they can corrode metal pipes after awhile. A natural cleaner is an enzyme/bacteria based cleaner. Once poured down a drain, it creates colonies of good bacteria that destroy bad bacteria that cause clogs in your drains. Use natural-based cleaners at night, just before everyone goes to sleep – large amounts of water used after the cleaner can get rid of the good bacteria before it has had time to work. At JOB Heating and Air.